A feminist film classification created to highlight the lack of women working in the movie industry is now being used on the IMDb film information site. 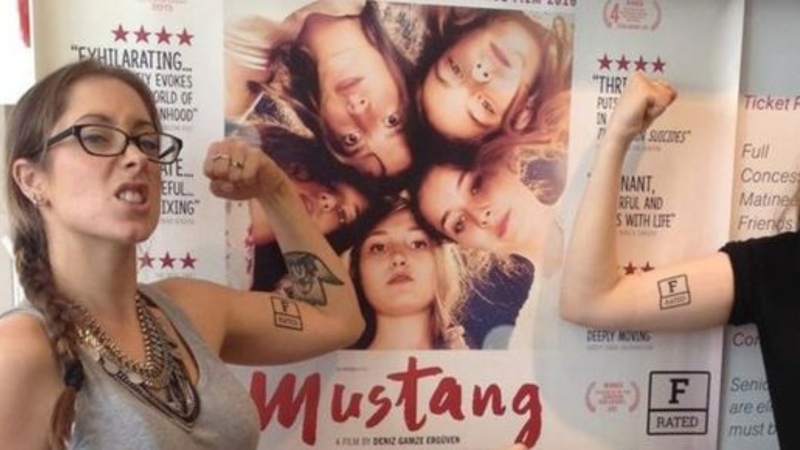 The F-Rating was introduced by Bath Film Festival director Holly Tarquini in 2014 and has been taken up by more than 40 UK cinemas and festivals. Ms Tarquini said 21,800 films had been tagged with the F-Rating on IMDb. Film information site IMDb gets more than 250 million visitors per month. Ms Tarquini said: “The F-Rating is intended to make people talk about the representation of women on and off screen. “It’s exciting when new organisations decide to join us in shining a light both on the brilliant work women are doing in film and on how far the film industry lags behind most other industries, when it comes to providing equal opportunities to women. Newest adopter to the campaign is the Barbican Cinema in London. Curator Gali Gold said the rating was “a simple and effective way to signpost films where the stories are told by and about women and to highlight the issue of gender imbalance within the film industry”. Anna Navas, from Plymouth Arts Centre, said she added the F-Rating “as soon as I heard about it”. “The F-Rating is such a clear, fun, accessible way of highlighting women on screen it felt like a no-brainer,” she said. The F-Rating was inspired by US cartoonist Alison Bechdel, whose 1985 comic strip Dykes to Watch Out For featured two women discussing “movies”. The cartoon became known as the “Bechdel Test” with the characters deciding a film should include at least two women who talk to each other about something besides a man.